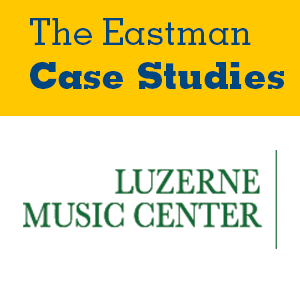 Since 1980, Luzerne Music Center (LMC) has been a summer home to students from all over the world who travel to the Adirondack Mountains of New York State to study music and hone their musical craft. Providing tuition scholarship and bringing distinguished artists to the campus have been central to LMC’s program but have also been responsible for increased operational expenses in recent years. This case surveys the LMC’s fundraising initiatives both to raise money for student scholarships and to serve the community through artistic interaction. The reader is asked to explore the effectiveness of these approaches and to brainstorm how this organization can effectively raise additional funds for a capital campaign without diminishing yearly operational income.